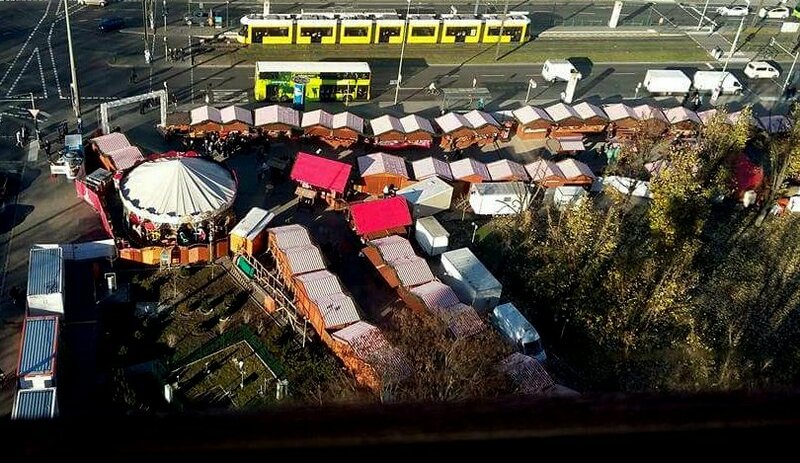 There is no where better to visit a Christmas market than the country they originated. Berlin, Germany has some of the best. 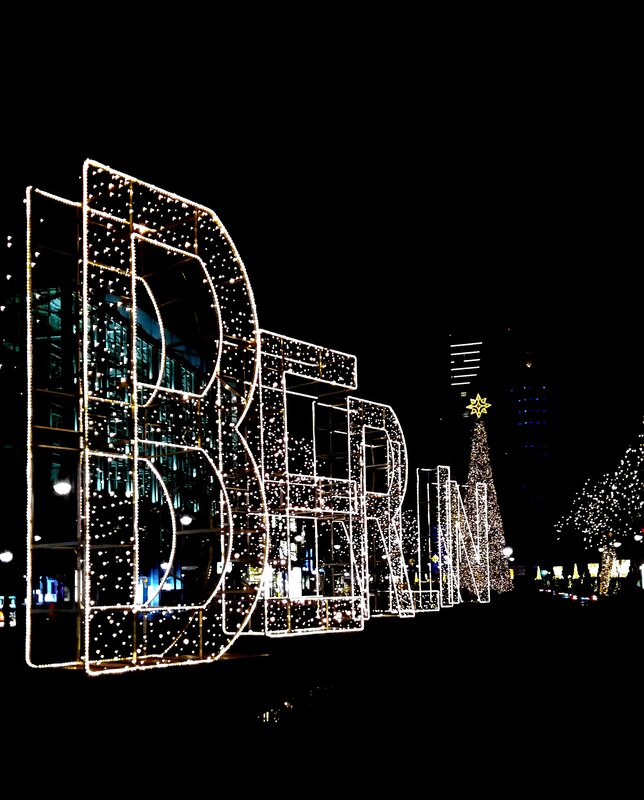 Mulled wine, bratwursts and spectacular lights that illuminate the city at night. More than 60 markets spread throughout the city, each with its own distinct personality, atmosphere and specialties. The markets open from the end of November until the end of December. One of most photographed Christmas market in the world. 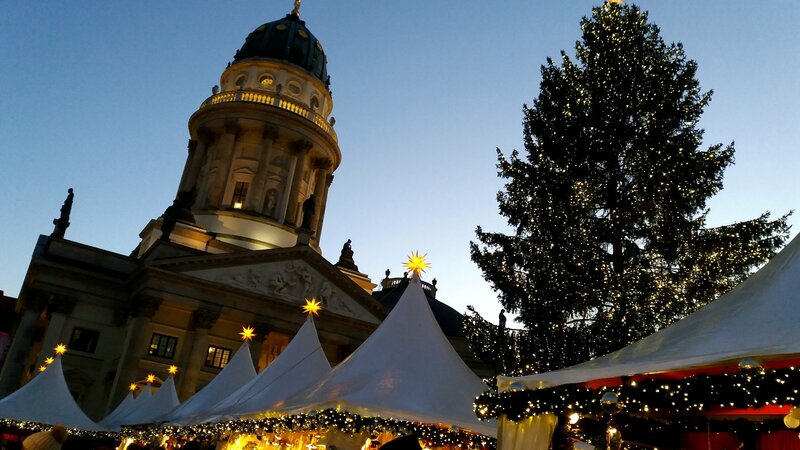 In the highly touristy area of, Mitte, this market is easily accessible by public transportation and located within minutes of other famous landmarks like the Berliner Dom. Surrounded by the illuminated French and German Cathedrals as well as the Concert House. The market features a gigantic Christmas tree, dozens of wooden cabins, and even a stage that welcomes choirs. The market is also well-known for its long-lasting culinary tradition, welcoming top chefs from all over the world and their twist on German classic dishes like hot dogs and gluhwein. This particular market is more famed for its cuisine rather than its crafts, if your looking for something new to try this is the market for you. 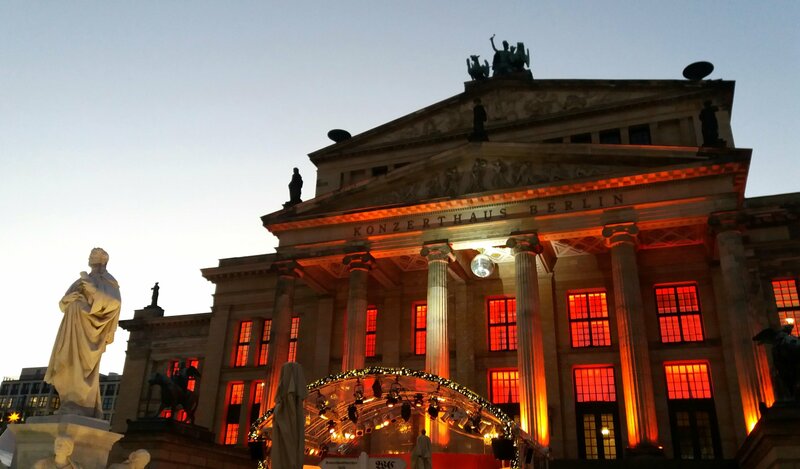 Gendarmenmarkt charges a small entrance fee of 1 Euro, at New Years Eve there is also a special party that takes place, the entrance fee is only 6 Euro. The Christmas market at Charlottenberg Place is definitely one of the most magical, thanks to the 300-year-old Royal Palace that dazzels at night. 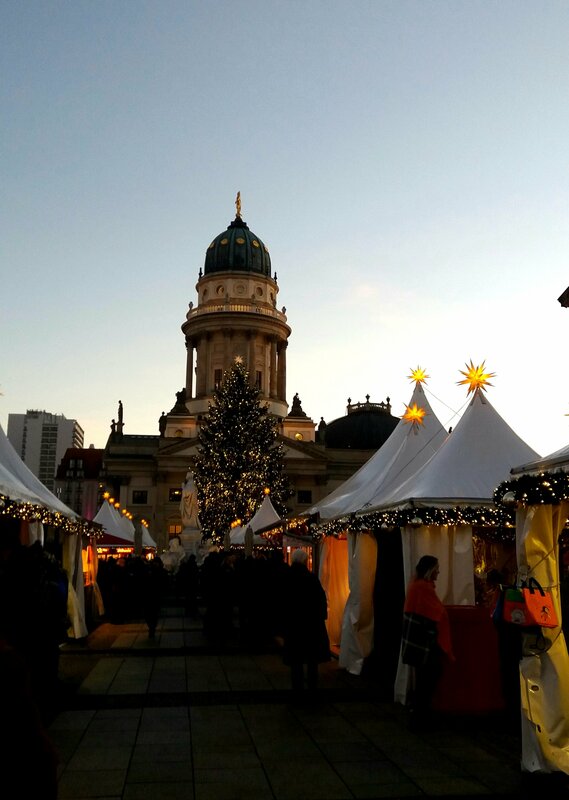 There are approximately 150 vendors making it one of Berlin’s largest markets selling traditional items, like arts & crafts, ancient handicrafts, jewellery, clothing as well as several gourmet foods. 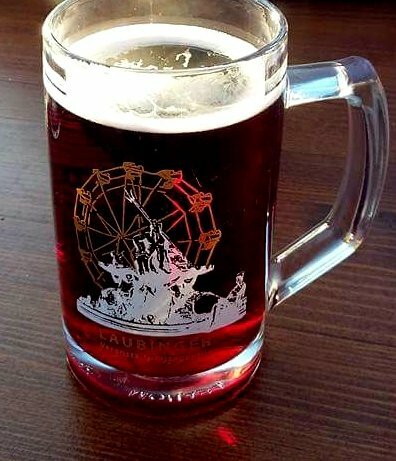 When ordering your mulled wine be expected to pay a 3 Euro fee, don’t panic it’s just so you return your glass! 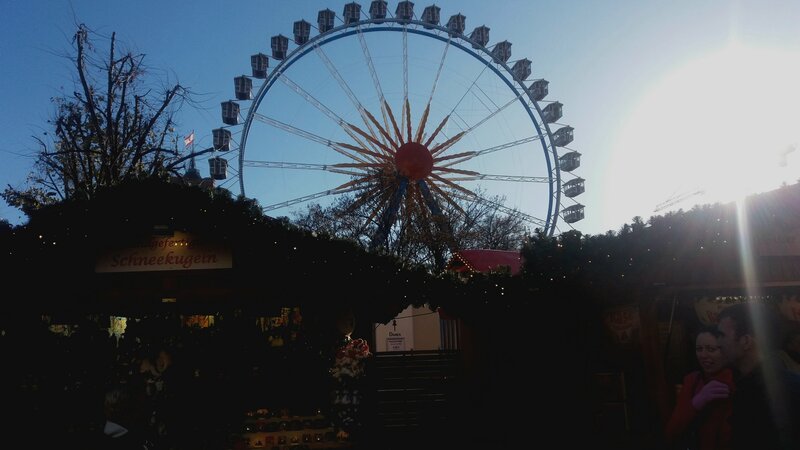 This market is the perfect introduction to German Christmas markets and a great starting point. 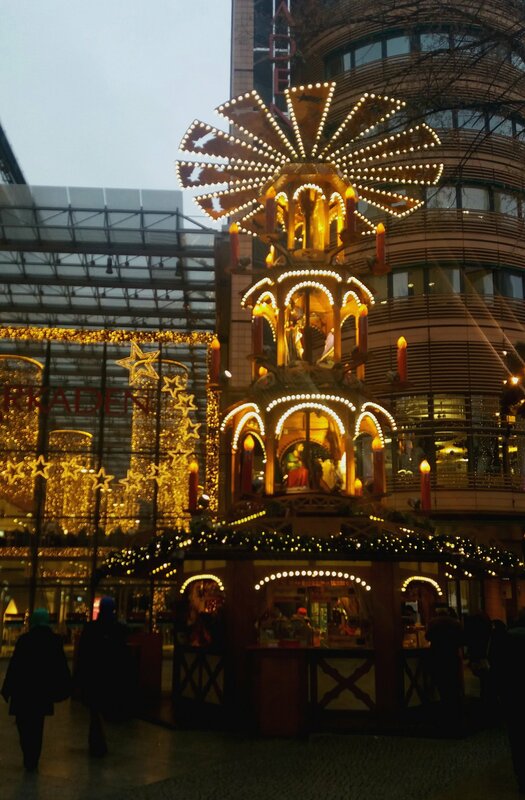 Alexanderplatz is one of the oldest Christmas markets in Berlin, to suggest this market is busy would be quite the understatement. More than 300 000 people visit Alexanderplatz every day, and another 500 000 travel through its U-Bahn station, making it the busiest square in the city by far. 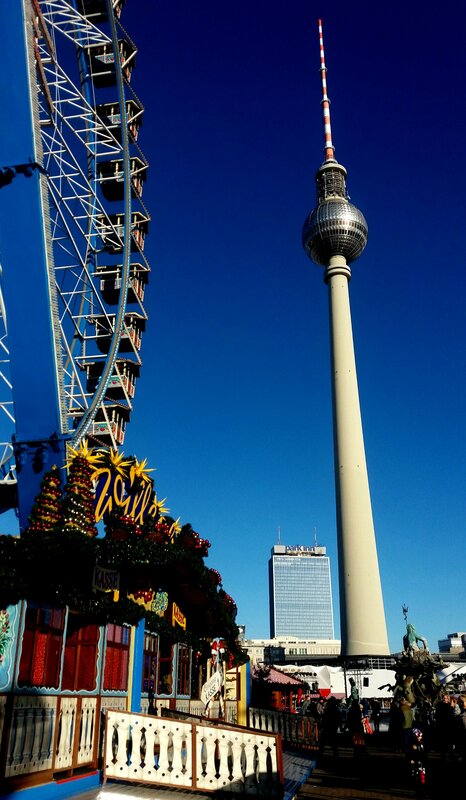 Different from all the other German markets the Alexanderplatz offers plenty to keep you entertained. From largest ice-skating rink that’s free to the 50 meters high Ferris wheel. There’s also a life-sized nativity scene with real animals and a mini-farm. It’s a nice change from the traditional wooden cabins normally found in markets. Take a ride on the Ferris wheel for incredible views of the city.